This year’s agenda reflected the current strength of the open source community. 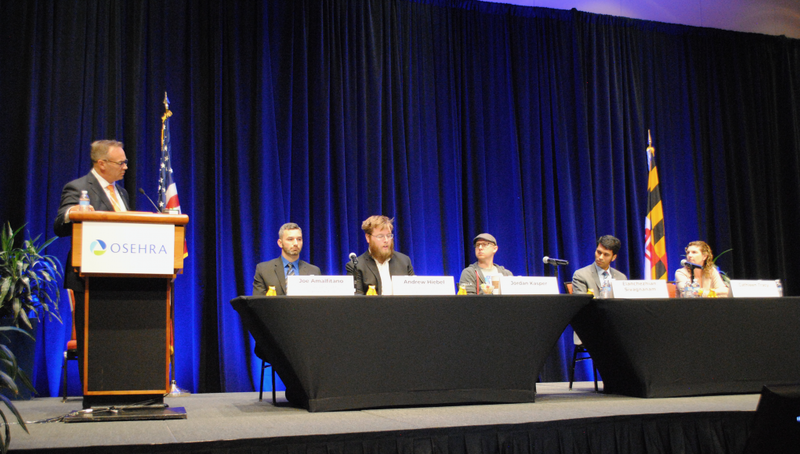 Track sessions highlighted numerous innovations in open source development, products, and clinical applications. Presenters detailed advancements in open architecture, agile development, and interoperability. Several active OSEHRA work groups including the VA-PALS lung screening project, Open API and Open Architecture Work Group, and Immunization Open Source Project Group updated the community on their progress over the past year. 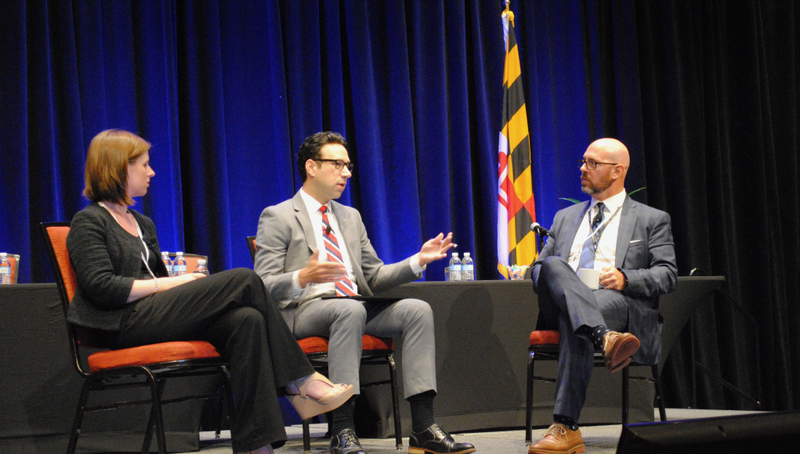 Health and Human Services (HHS) Chief Technology Officer Ed Simcox led the 2018 Summit Plenary Session with a Keynote address before leading an engaging fireside discussion focused on current HHS initiatives. 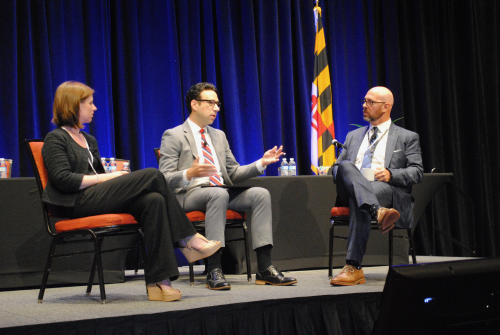 He was joined by Alexandra Mugge, Acting Chief Health Informatics Officer at the Centers for Medicare and Medicaid Services (CMS), and Mike Davis, Director, Division of IT at Indian Health Service. During the discussion, both Simcox and Mugge made calls to the community for public comment, stating that HHS has a “hunger for feedback” on policy. 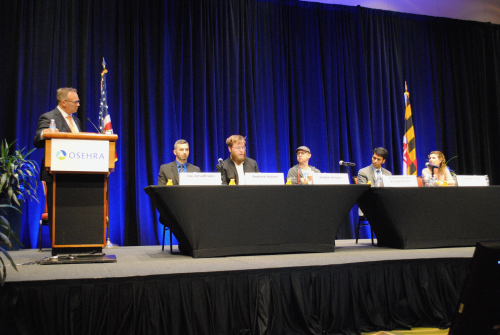 Together the trio discussed current programs and defined ways the open source community could engage with HHS. All three emphasized a commitment to share and collaborate with private industry, stakeholders, and agencies. A common theme again this year, several speakers cited interoperability as a key factor in providing quality care. In his afternoon Keynote, MG Lee Payne, MD of the Defense Health Agency highlighted DHA’s goal to “provide medically ready forces but also ready medical forces.” He emphasized the crucial role of health information exchange in achieving this goal and ensuring that both soldiers and the doctors caring for them are well-equipped. Dr. Stan Huff, Chief Medical Informatics Officer at Intermountain Health and Bo Dagnall, Chief Technologist and Strategist for Digital Health at Perspecta also drove home the importance of interoperability during their Digital Health Platform Reference Architecture and Implementation presentation. 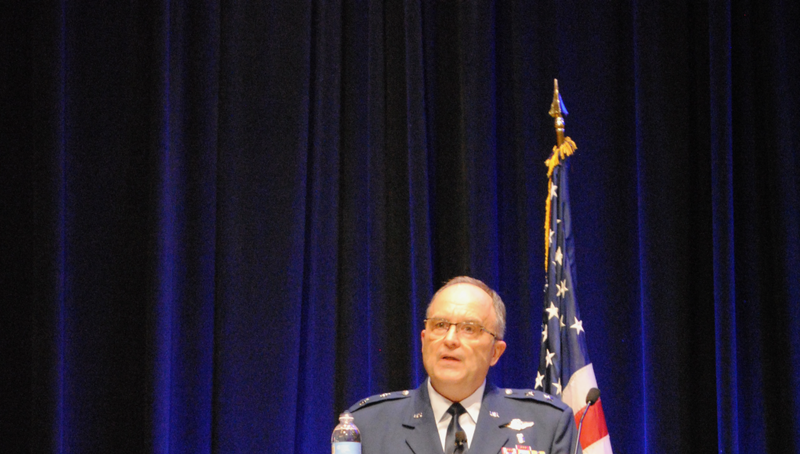 Dr. Huff stressed that interoperability is vital in real-world medical situations and underlined the need for proper medical systems and protocols. He suggested that an Open Platform Architectural approach is best to achieve real interoperability in Healthcare. Mr. Dagnall echoed Dr. Huff’s identification of the problem of non-standardized Healthcare data and demonstrated how Perspecta’s Digital Health Platform serves as a working model solution. 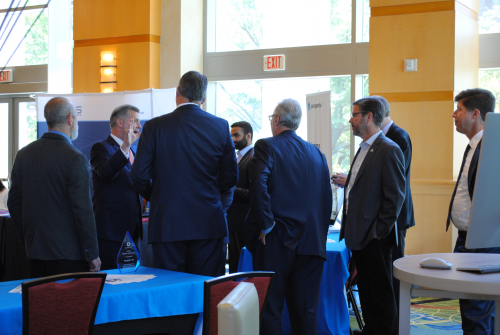 One of the key advantages of the OSEHRA Summit each year is the opportunity to interact with industry leaders first-hand. 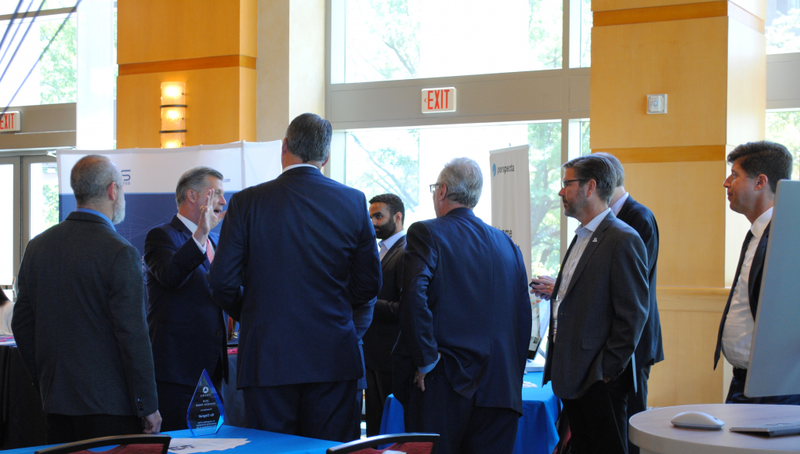 During the Summit, attendees had the opportunity to network during coffee breaks, meals, and receptions allowing plenty of time for in-depth conversation. 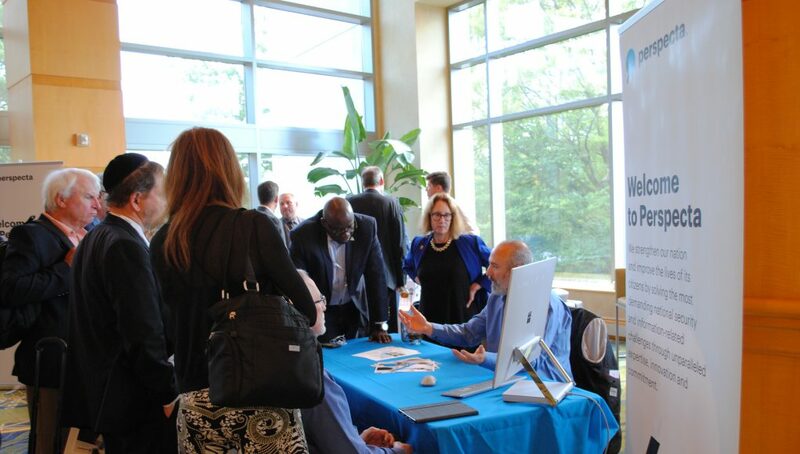 Both attendees and speakers enjoyed the opportunity to gain exposure and build connections with decision makers. This high-level of interaction is one of the hallmarks of the Summit and continues to generate positive feedback from participants. 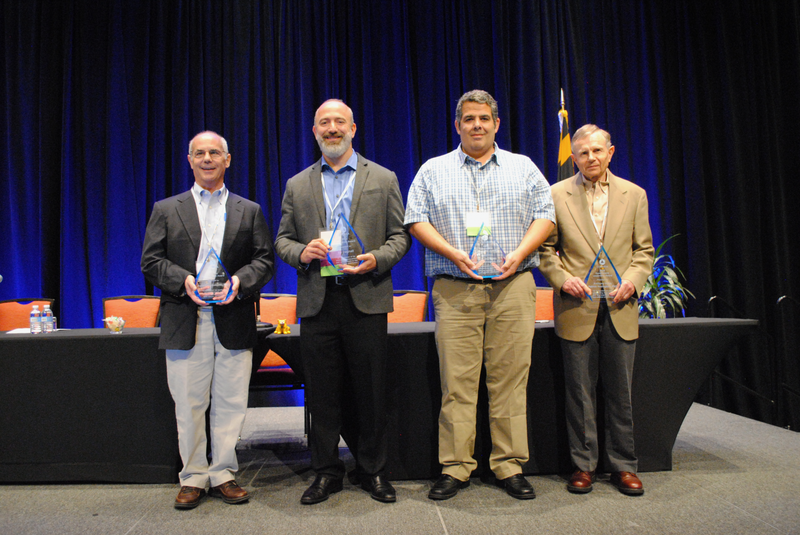 This year’s OSEHRA Leadership Awards recognized four exceptional individuals who have contributed greatly to the Open Source community. The Government Leadership Award was jointly awarded to Patrick Redington, PhD and Anthony Puleo in recognition of their outstanding leadership and support. Their contemporary work on the VistA Reminders packages, which laid the foundation of quality Healthcare for VistA, has been a vital contribution both inside and outside VA. The Innovation Award was given to Bo Dagnall from Perspecta in recognition of his contributions and significant innovations in the Open Source community. He has demonstrated extraordinary technical expertise and thought leadership within the OSEHRA community, leading groups like OSEHRA’s Synthetic Patient Data Project Group. Dagnall’s work to establish the role of open source in hybrid platform solutions has been critical to understanding the future of open source in Healthcare information technology. Lastly, Keith Campbell, MD, PhD received the Lifetime Achievement Award for his career-long accomplishments and contributions to the open source community. He has been an active member of OSEHRA since its founding and his 30 years of contributions to open source include projects like the System of Logical Representation (SOLOR) project, which uses open source solutions to integrate medical terminology standards to improve patient care and safety. It is clear that the open source community is poised and ready to overcome the many challenges ahead through open collaboration. OSEHRA would like to thank the 2018 Conference Sponsor Perspecta, and the numerous sponsors, supporters, and attendees who helped make this year’s Summit a success. 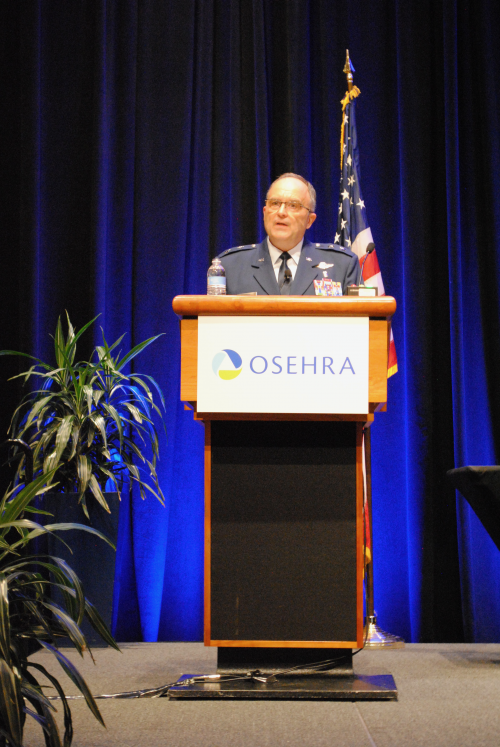 To see more about this year’s event, visit the OSEHRA Summit proceedings page here.